Reverie: Sweet As Edition will arrive on the Switch eShop starting February 7, developer Rainbite has revealed. A physical version will also be sold exclusively through Play-Asia as previously announced. Save an island in peril on a childhood holiday! With restless spirits threatening the safety of Toromi Island’s inhabitants, Tai must venture through dangerous dungeons and across a variety of environments to put the spirits to rest. All in a summer holiday! The latest “Sweet As” version of Reverie for Nintendo Switch will include Nightmare Difficulty, a quick select item wheel, an in-game trophy system, a new minigame, as well as updated sprites and dialogue! 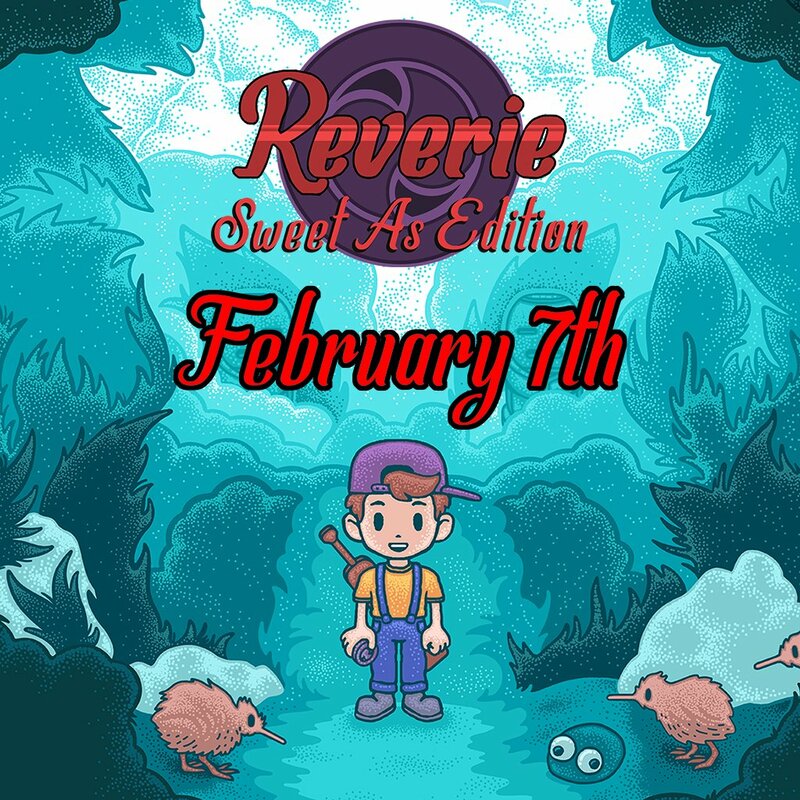 While Reverie: Sweet As Edition is due out digitally at the start of February, Play-Asia has not yet confirmed the exact date for the game’s physical version.